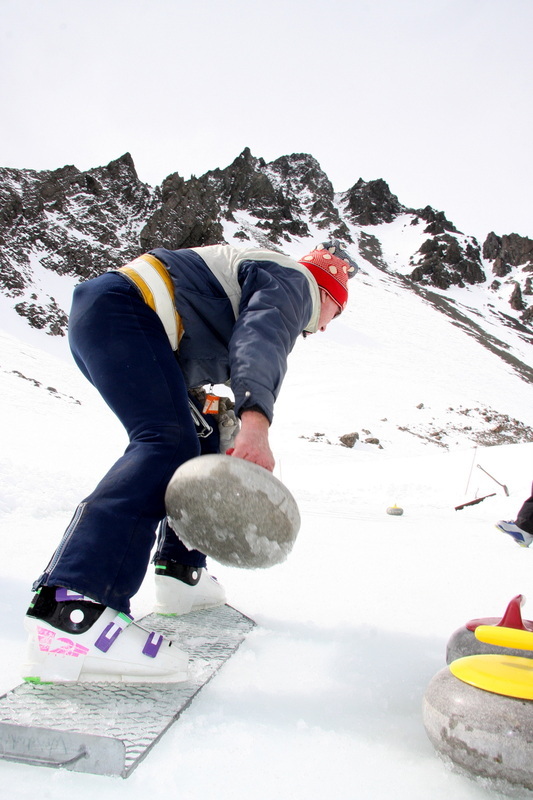 Skiing at the Club Fields requires a few specialised items of equipment to get the best from your experience. Below are the places we recommend for procuring these items. Gnomes in Darfield, 25 mins out of Christchurch has everything you need in terms of hardware to suit action at Mt Olympus. Powder skis, touring gear, tyre chains, transceivers - it's all there, all top quality and comes with expert advice. Like Gnomes but in Methven. Go and see Rich and his crew and they will sort you out for a Mt Olympus mission. Really tough clothing for really tough mountain environments. Handmade weapons concieved and developed for the Club Fields. Local Councillor and long-time member John Morten sending a stone down the sheet.